This month is the fifth of a six-part series on croning – a feminine rite-of-passage ritual for those reclaiming the power and wisdom of the old woman, the crone. ladies was taken.) It was written and led by three dear sisters, all crones themselves. About 19 in all were present, including sisters who had not circled with us before. As part of the first night’s ritual, I was croned. The next evening, I had a chance to speak. Following my ritual is that of my dear friend, Leandra. Hers was written by Christopher Penczak with whom she had studied at the Temple of Witchcraft in Lawrence, Massachusetts. importantly, things you would not want – for your ritual. express them and I will respond in the next column. distribute and explain the amethysts. Women are reminded to pick up an instrument if they do not have their own, and also to have their apples ready. Priscilla will speak about the Crone, Crone Cave, Council of Crones (briefly!) Four decorated chairs will be placed in the North. 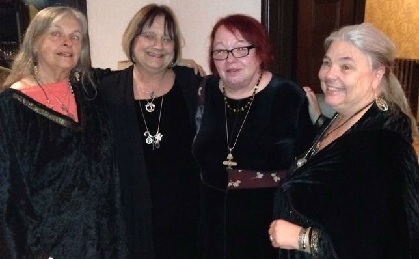 In deference to the Crone, we will proceed into the ritual area in roughly age order – meaning Priscilla, Leandra and Diane will enter, followed by everyone else as they see fit. The Maiden will go get Lynn and accompany her downstairs where she will take her place in the line to enter. and back as she enters the ritual area. High Priestess Leandra: And so we gather for another Mabon retreat of Goddesswomen. Take a moment to get there. Let us attune ourselves to the same vibration. (Ring chime three times.) Feel the surroundings. Sense the energy that is present. Become aware of your breath, and of the breath of the women next to you. 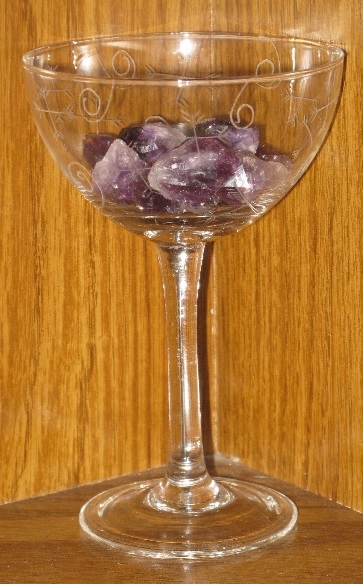 elemental, psychic and sacred energies that holds magical energy. It’s our temple where we will make magic this weekend. One by one, we will cast the circle, hand to heart. Look at your hands and point both of your thumbs to the left. I will begin and we’ll move clockwise around the circle. outwards; help the circle expand and grow to surround this whole room, the whole house, the grounds, creating a safe container for our magick. weekend be for the good of all beings everywhere, without exception. High Priestess Priscilla: Now let’s go around again and put into the circle the names of those who are with us in spirit, those we bring here with us, those we honor, heal and bless. on the forehead of the woman to her left, speak, then pass along the oil.) May this protect you from all harmful and unwanted energies. Blessed be. High Priestess Priscilla: Next we’ll call the Elements. Some traditionally begin in the east, others the north. But, because this is Mabon and the equinox, and because west is the direction for fall, and this is the start of the quarter of the year associated with water, we will start by calling west first tonight. High Priestess Priscilla: Monday will mark the autumn equinox. For a moment, day and night are equal. After that, we enter the dark half of the year, the time of darkness when the Crone rules, when we claim our power during the long nights. High Priestess Diane calls Hecate. High Priestess Leandra calls Erishkegal. High Priestess Priscilla calls Baba Yaga. Sing, feast, dance, make music and love, all in My Presence, for Mine is the ecstasy of the spirit and Mine also is joy on earth; For My law is love is unto all beings. Mine is the secret that opens the door of youth, and Mine is the cup of wine of life that is the cauldron of Cerridwen, that is the holy grail of immortality. I am the gracious Goddess. I give the knowledge of the spirit eternal, and beyond death I give peace and freedom and reunion with those that have gone before. Nor do I demand sacrifice, for behold, I am the Mother of all things and My love is poured out upon the earth. High Priestess Diane: Blessed Be. High Priestess Priscilla: Please be seated. Lynn, please stand. Are you ready to cross the threshold, take your place in the Council of Crones? High Priestess Priscilla: Do you bring a Goddess ally? High Priestess Priscilla: Please call your ally now. Lynn: I call the Norns. High Priestess Priscilla: Your sisters bestow on you this shawl, symbol of your hard-earned wisdom. Lynn takes her seat between HP Diane and HP Leandra who wrap her in her shawl. High Priestess Priscilla: We present you with this crone staff. High Priestess Diane: We present you with this crown. She is teacher and experience. She is wisdom. 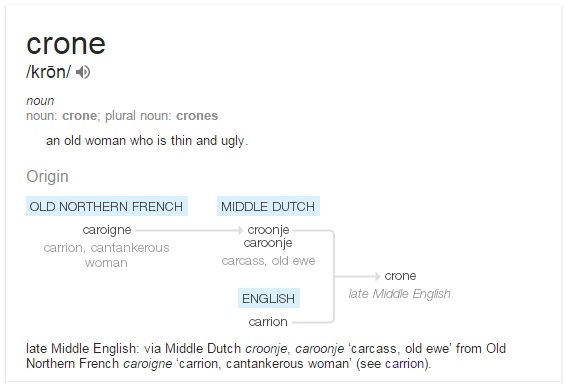 She is Crone. She stirs the cauldron of all knowledge. She is the bringer of death and rebirth. In the dreamtime she sits and stirs. In the dreamtime she sits and stirs, sits and stirs. And at the crossroads she’ll be your guide. of all knowledge, she sits and stirs. of all knowledge, she sits and stirs, sits and stirs. She is Crone. She is Crone. She is Crone. is now. This is a season for celebrating the plenty that work and time have wrought. It is a season for feasting with sisters. spirits. Our cooking will express our love and devotion. It is our ritual and our deep magic. Among the foods we will make is applesauce. Each of you has brought an apple or two. The Maidens will collect them now. Apples are a traditional fruit of Mabon. 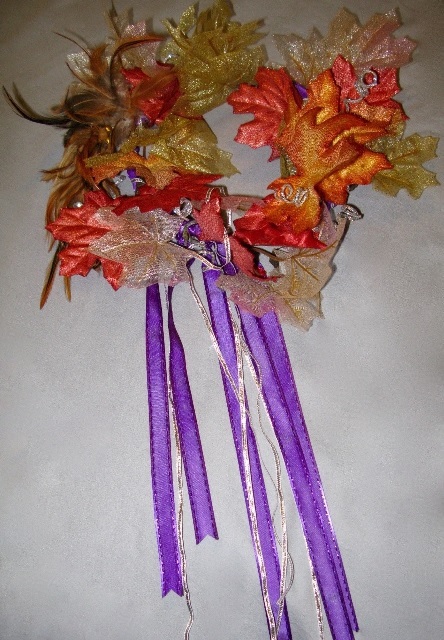 They are a symbol of the harvest season and have long been associated with magic and wisdom. The collected apples will be placed under the altar, to be taken to the kitchen tomorrow. Volunteers to assist Lynn, our traditional applesauce maker, will be welcome! And now, let us raise a little energy to celebrate being here, now, together. (Women take up instruments, drum and dance riotously.) Send off energy. Ground. Now we are free to do as we wish for the rest of the evening. 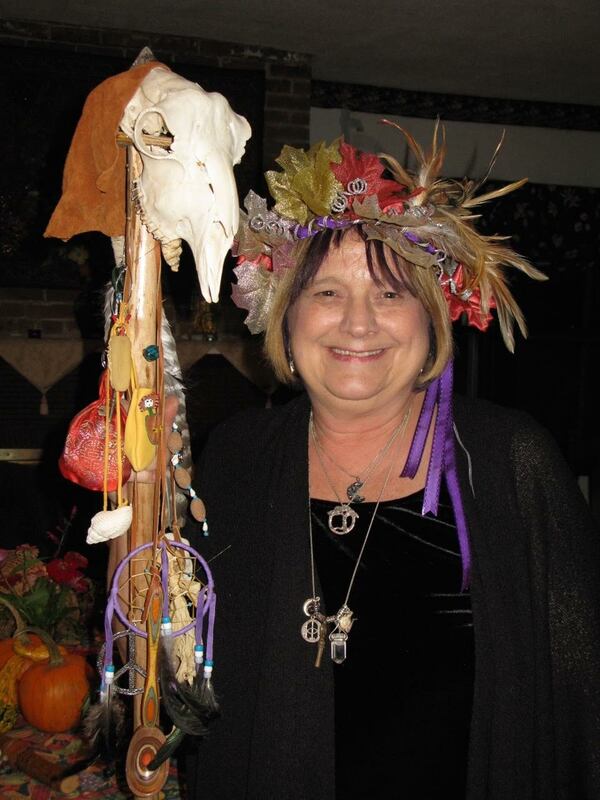 High Priestess Diane: I want to thank each of you for the role you played in this sacred ritual – the creation of the feast to celebrate the second harvest. Diane: We will now have some time to prepare for the evening’s ritual. When you hear the gong, you will have 10 minutes to gather at the foot of the stairs. The meal was in celebration of the second harvest. Tonight’s work will reflect the fact Monday is the equinox. The Goddess moves into her crone phase as the nights begin to get longer. This begins the most powerful time of the year – the dark time, when the moon shines longer. Days grow short. There are limits and endings. The veil between this world and the next begins to grow thin. The crone knows that she will not escape this life alive. She embraces it, moment by moment by moment. Rituals of grieving are appropriate now, as well as anticipating the rebirth and joy that will come. The Crone has many stories. Sometimes her story has become distorted, as she is shown as the ugly hag, the scary witch to scare children into good behavior. One of our tasks is to dispel the damage of the Patriarchy. We will share some of those stories now. High Priestess Priscilla: Going around the room, each person can speak about what she hopes will manifest in her when she reaches cronehood. Crones can look back or add wisdom as they wish. High Priestess Diane: Now we will pass the taking stick. If you would like, you may take this opportunity to share something for which you are grateful, that which you have harvested, or that for which you mourn. If you do not wish to speak, simply pass the stick to the woman on your left. High Priestess Priscilla: Let us make noise! Let us move and dance! Let us song Baba Yaga’s song, also known as Hymn to the Russian Earth, a Song for Peace! Now, here is another croning ceremony. We cast this circle of the art to bind all forces that are not in harmony with our working and conjure forth all spirits of blessings and love. We cast this circle as temple where the highest will is sovereign. We call upon the Two who move as one in the love of the Great Spirit, the Goddess and the God. We call upon the Great Mother Goddess and the Holy Father God to bless this passage. We call to you. Please be present in our rite. We call all spirits who come in Perfect Love and Perfect Trust. Leandra’s cronehood, before each other, the Gods and the world. I bless you with this sacred oil. May you always be protection and nurtured upon the path of life. is found within, and the true elixir is within our life force. Community members who have been asked to speak will take this time to offer story and praise of Leandra and her rise to cronehood. offer gratitude to the community. We crown Leandra with the fire of Autumn Leaves. in balance with the Earth and Sky. We proclaim Leandra Walker as crone, as an elder in our community. Many blessings to her on the path of life. We thank and release all spirits who come in Perfect Love and Perfect Trust. This month is the fourth of a six-part series on croning – a feminine rite-of-passage ritual for those reclaiming the power and wisdom of the old woman, the crone. I hope it prompts you to reflect on your life and the wisdom you have to share. 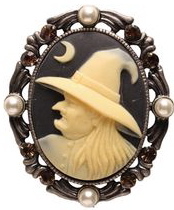 While the crone is a symbol of death, she also symbolizes wisdom and power. Fifty years or more of living brings the inherent wisdom that comes with experience. She has birthed and buried, laughed and cried, danced and crawled, succeeded and struggled. She has seen Saturn return twice, and with it, a host of lessons. Her life has demanded patience, compassion and strength. It’s worn away many of the rough edges, scraped away layers of shame and fear. Her body is no longer fertile, but her mind is strong. She has walked many paths and cultivated a deeper understanding of the mysteries. A crone claims her power and uses it wisely. As she has been cleansed, so may she cleanse, sweeping away that which is no longer needed to make room for the new. Since I was in high school, I have been filling notebooks and journals with quotes, lyrics, poems and inspirational messages. 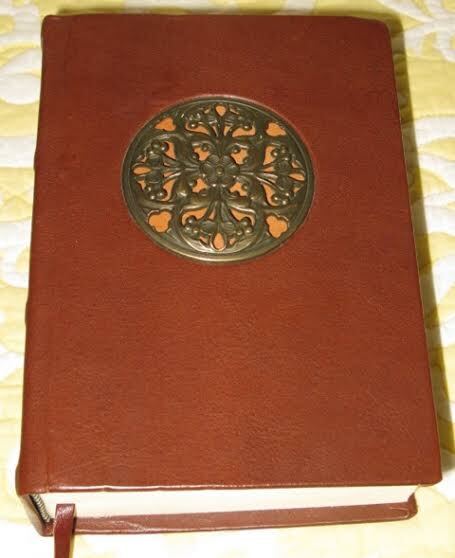 Several years ago, I fell in love with a beautiful, thick, leather-bound volume in a bookstore and purchased it. It sat for years, too special to be used for anything not equally special. That turned out to be a place to record the best of all the words I wanted to save. So far, it’s about 70 percent full. I urge you to take some time and reflect on the wisdom you have gained, the principles and beliefs that have guided and sustained you. Then, perhaps a way to share some of that knowledge will present itself. During the months I was preparing to accept the mantle of crone, I reread every entry in that book. I typed up the two dozen or so that have served me the best, printed out multiple copies, cut them up, rolled each individual one and tied them with with ribbon. I put them all into a cauldron. 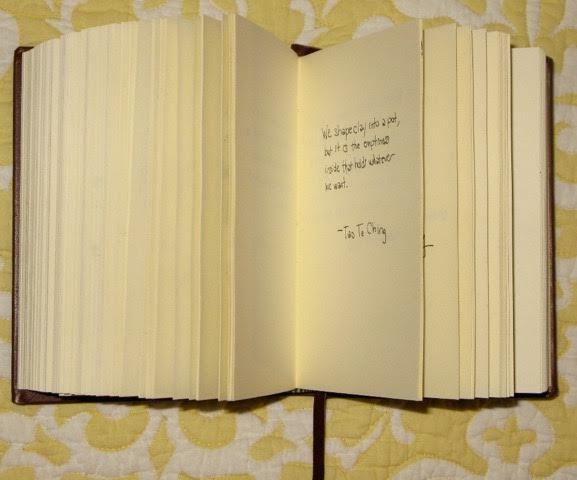 During my croning, I let each person draw three in the hopes the wisdom would serve them as well as it had served me. Once in a while, we are given moments of real grace. Sometimes, during my early-morning meditation, a place within me opens and parts of myself let go that I did not even know were holding on. In these moments I feel all the hard places in my heart and body yield to a great softness carried on my breath, and I am filled with compassion for the part of me that is always trying, always organizing, problem solving, anticipating. And my mind stops and simply follows my breath. A great faith washes through me, a knowing that everything that needs to get done will get done. My shoulders drop an inch, the small but familiar ache in my chest eases, and the moment stretches. There is enough: enough time, enough energy, enough of all that is needed. A great tenderness for myself and the world opens inside me, and I know I belong to this time, to these people, to this earth, and to something that is both within and larger than all of it, something that sustains and holds us all. you start vibrating with it. Next month I’ll share two croning rituals along with some references. We’ll wrap up in September with any other details that did not fit into previous columns as well as any questions you may want answered.